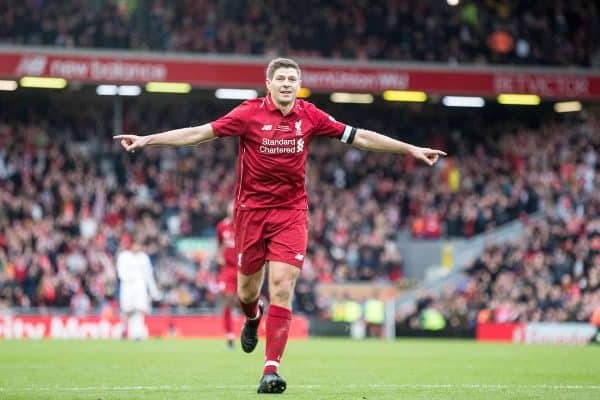 Steven Gerrard returned to Anfield as the Liverpool Legends sealed a dramatic late 3-2 win over a star-studded Milan Glorie side on Saturday. 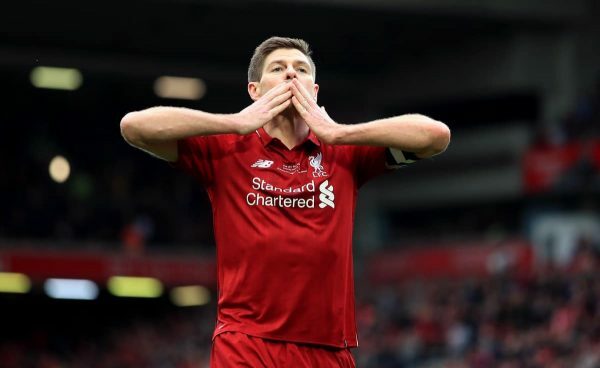 With Jurgen Klopp‘s side embarking on international duty for the last time this season, Anfield played host to a myriad of iconic names from the past this weekend. 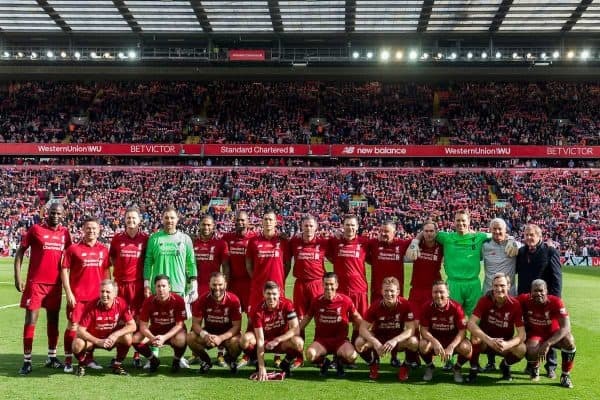 Taking on their AC Milan counterparts in a throwback to the 2005 and 2007 Champions League finals, the Liverpool Legends entertained a big crowd on Merseyside in aid of the LFC Foundation. 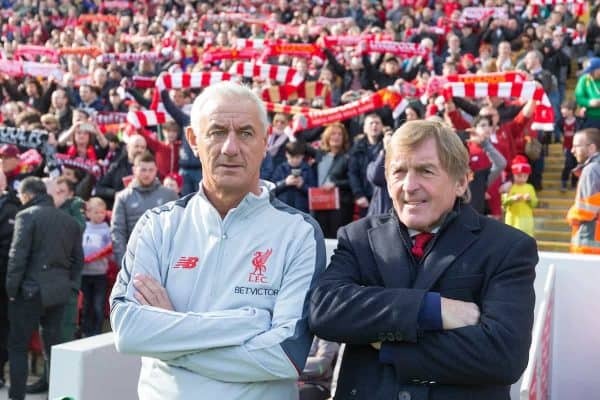 In the dugout were two players with 518 goals for the club between them, as Ian Rush supported Sir Kenny Dalglish in his duties as manager. 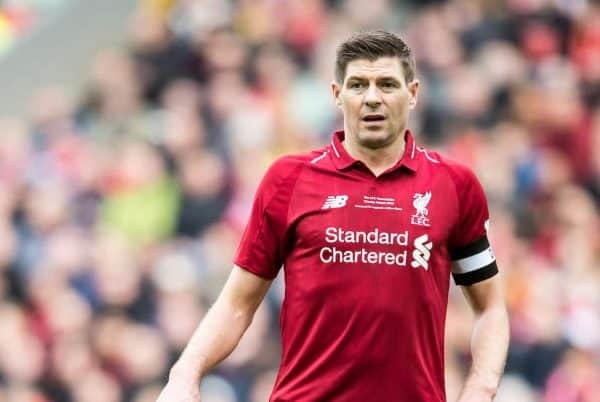 Gerrard wore the captain’s armband as he started alongside the likes of Jamie Carragher, Sami Hyypia, Luis Garcia and Dirk Kuyt, with Anfield calling for the legendary No. 8 to shoot any time he picked up the ball near the box. 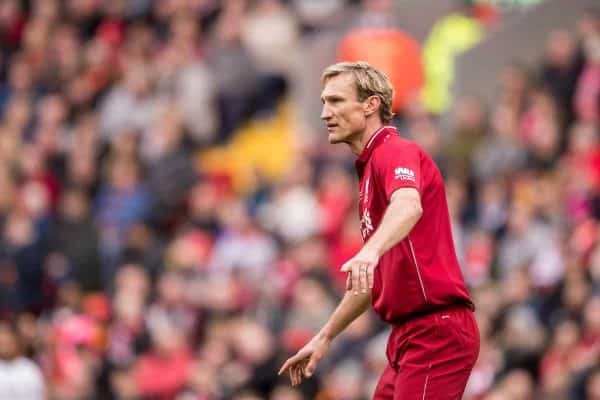 It was great to see Hyypia back in a Liverpool shirt as one of the heroes of Istanbul, with the Finn lining up alongside Carragher, Daniel Agger and Djimi Traore in a back four in the first half, after Alan Kennedy’s early substitution. Milan were certainly not without their own big names, with Andrea Pirlo, Rui Costa and Cafu among those to start the game, managed by Carlo Ancelotti. 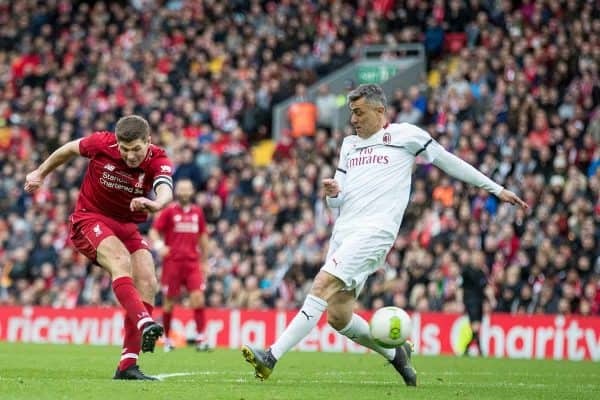 They were unable to beat Jerzy Dudek in the first half, however, and Liverpool went into the break in the lead as Robbie Fowler showcased his evergreen ability in the box with a smart volleyed finish. 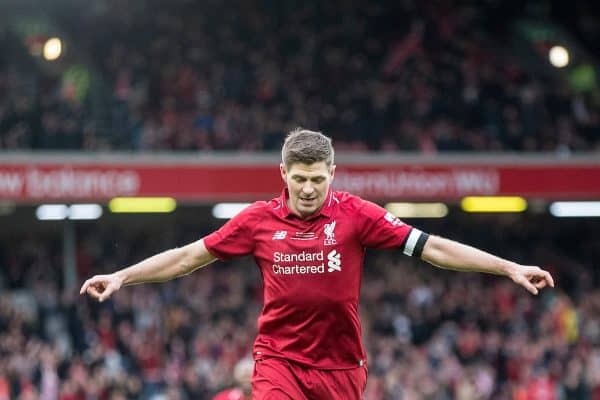 Celebrating with his younger team-mates Gerrard, Garcia and Kuyt, there was a clear sign of who retired first! 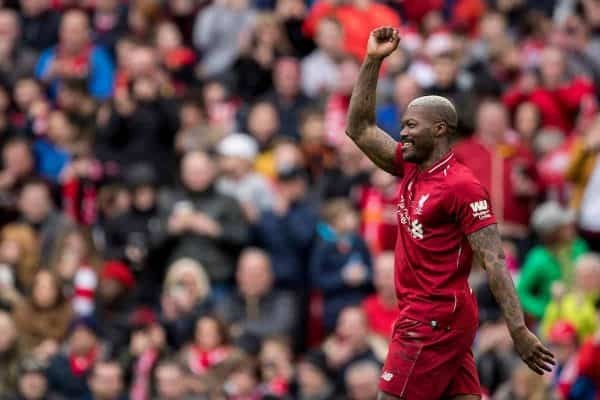 Djibril Cisse was one of a number of players to come on at the break as the King rang the changes, and the Frenchman doubled Liverpool’s lead after Patrik Berger’s great through ball. 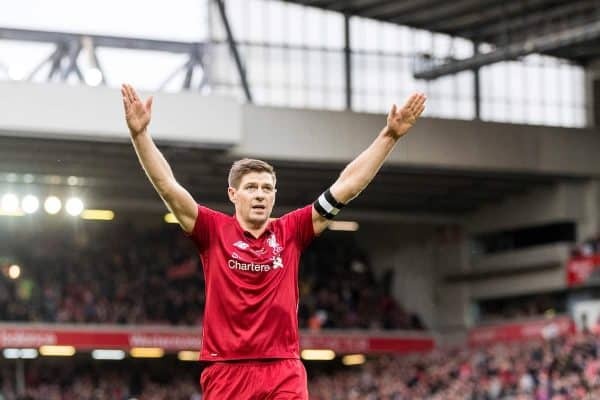 But Milan soon reduced the deficit with a moment of magic from Pirlo, who capitalised after Agger brought down Kaka outside the box, beating Sander Westerveld with a trademark free-kick. 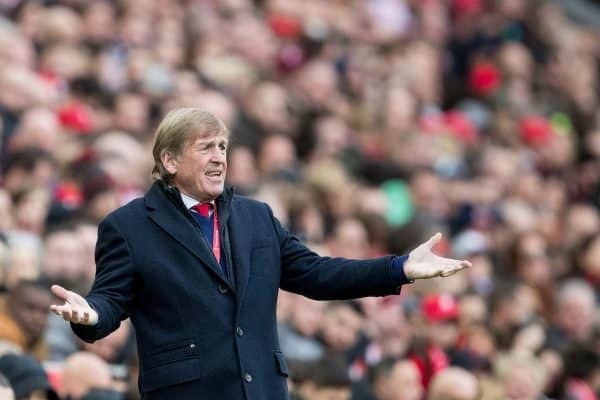 Kenny didn’t miss a beat on the touchline, rolling back the years as he returned to temporary management. He will have been left disappointed as Guiseppe Pancaro levelled the scores with a brilliant curling effort from outside the box as full-time loomed. 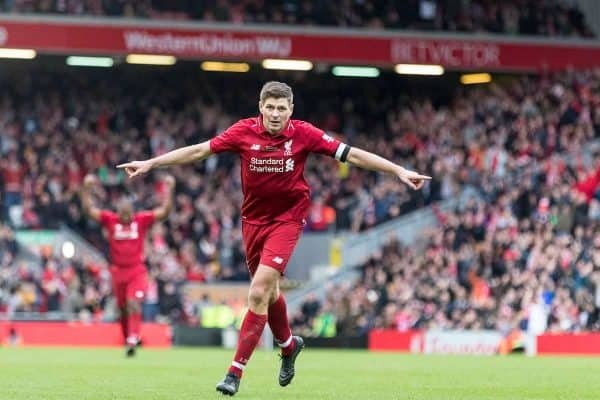 But Anfield erupted as that man Stevie G scored a last-minute winner in front of the Kop, as if it were scripted. 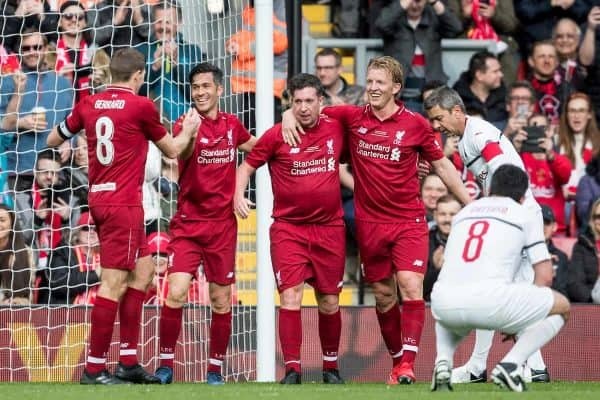 It was the perfect end to a brilliant afternoon, with around £1 million raised for the LFC Foundation as the legends secured another comeback victory over Milan.